Facing History and Ourselves offers many online learning opportunities. See information on their course offerings at their Professional Development page. 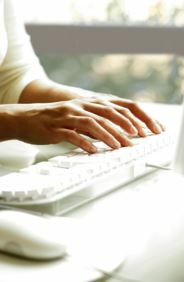 Jewish Women’s Archive offers many webinars on a variety of topics. If you miss any, most are archived for later viewing. The Lookstein Center for Jewish Education offers Distance Education courses on a variety of Jewish topics for Hebrew speakers. See everything at the Lookstein Center’s Virtual Home of Jewish Educators. Open Culture. There are many free university courses available through this portal, including topics in history (“Ancient Israel” at NYU, “Historical Jesus” at Stanford); K-12 resources; books; movies; and language classes. PrimarySource.org, a non profit that “shapes the way teachers and students learn, so that their knowledge is deeper and their thinking is flexible and open to inquiry” is offering a webinar “Thinking like a Historian: Immigration History Through Primary Sources.” This online course runs from July 8 through August 4, and it is especially designed for teachers of grades K through 8. Credit is available. YIVO Institute for Jewish Research makes many of its public programs available for viewing and listening. Its archive of audio and video programs contains many programs dating back to 2005. Powerful Learning Practice offers many online courses in teaching with 21st c. technology skills, including: “Creative 21st c. Lesson Plans,” “Google Docs 101,” and “Twitter 101.” See their article on the Flipped Classroom. JETS offers a variety of online classes in pedagogy and using tech in the Jewish classroom. They also partner with diaspora schools to offer a broad range of services. The Jewish Day School Social Media and Video Academy was recently launched by Darim Online. This goal of this website is to help educators to assess and increase their school’s use of social media and video. The site offers tutorials, production resources, tip sheets and more. Open Day School is a resource from the Yeshiva University Institute for University-School Partnership. They offer many resources for those interested in online courses/blended learning. Powerful Learning Practice offers many online classes to become more comfortable with using technology, including: make and take lesson plans; the flipped classroom; using Google Apps for Education; and more.